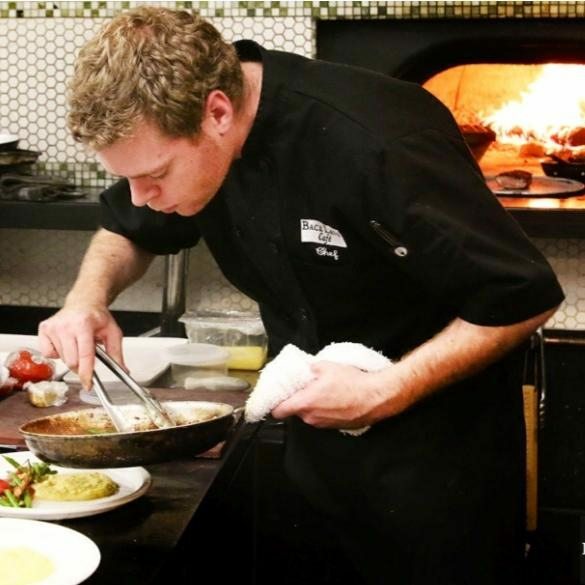 At the end of March, Back Lane Café’s Connor McQuay announced his departure after two years as chef in charge. The 28-year-old’s new gig? 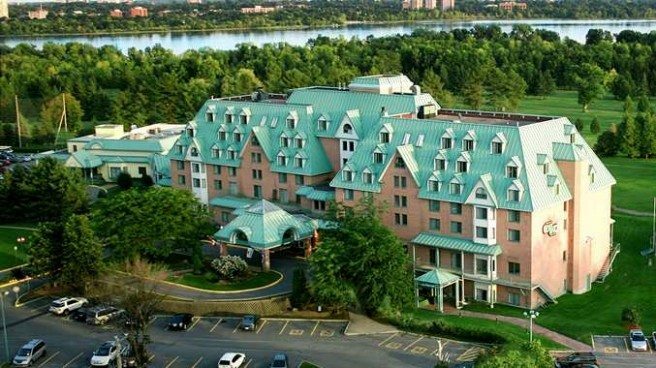 Executive chef at DoubleTree by Hilton in Gatineau. He admits it’s going to be a steep learning curve, going from running a 40-seat café to launching a new, 150-seat Italian restaurant, as well as managing the hotel’s second restaurant and banquet facilities. As McQuay hustled to finalize the menu at Sopranos ahead of its May opening, Ottawa Magazine caught up with him just long enough to discuss his new direction. City Bites: How did this new job come about? Connor McQuay: The owner of the hotel, Pierre Heafey, was a regular at Back Lane and got to know me and my cooking. He wanted to open an Italian restaurant at the Hilton. At some point Pierre asked George [Monsour, owner of Back Lane] if he knew of a chef who was talented enough to run his hotel operation and run a restaurant at the same time. That’s when my name got put in the mix. It all happened so quickly. I went into work one day this spring and George said ‘I think I should let you go and do this.’ Within a week I had a job offer from the Hilton. A week after that I was moving into this new adventure. CB: You previously worked with Chef Michael Blackie in a large operation at the NAC. What did you learn from him? CM: I still consider Michael Blackie and John Morris to be mentors. When I was going in for the interview for the Hilton job, Michael was the first person I called. I asked him what I was getting myself into and for advice on how to sell myself because as an executive chef I have never been in such a big company with so many different venues. CB: What will you be running? CM: There will be the new 150-seat Italian restaurant, Sopranos, which opens May 1 if all goes according to plan, as well as the casual Bistronome. And banquets and weddings. Oh, and the golf course. It’s a big jump from Back Lane Café! CB: So it’s a huge learning curve. CM: It is. But being the age I am — 28 — I see this as a stepping stone. Michael Blackie told me that opportunities in this industry are big stepping stones — it’s hardly ever a gradual climb. You get to one spot and you plateau there for a bit and then a big opportunity comes your way and you have to decide whether to go for it. CB: What have your first couple of weeks been like? CM: I’ve been figuring out staffing. Opening up Sopranos is top of my agenda. But I also have to get my head wrapped around banquets and we already have 30-odd summer weddings booked. It’s going to be a pretty big staff! I’ve also been going full speed contacting suppliers — figuring out who I want to use and in which direction I want to take the food. CB: Anything you can tell us about the menu at Sopranos? CM: My background is Canadian-Irish-Italian so I’m really having fun. There are definitely ideas from Back Lane coming this way. We’ll be making our fresh pizza dough inhouse — I’ve got six different pizzas on the menu. Right now, I’m working on 15 different pasta recipes. Gnocchi will be definitely be made inhouse. And other pasta. The menu will be quite large. It’s hard to write a small Italian menu! It’s broken down like a typical Italian menu: antipasto, then risotto, then pizzas, then pasta, then fish and meat dishes and, finally, dessert. CB: What’s the price point? CM: Pretty medium, especially the pizzas and pastas. The most expensive item is the rib-eye steak and that’s $28. We’re looking at $9-$14 for antipasto and $13-$22 for pizza, pasta, and risotto. CB: Are you looking beyond the hotel crowd with Sopranos? CM: Totally! Hotel guests alone aren’t enough to support a 150-seat restaurant. I want Sopranos to become a place where residents from Ottawa, Gatineau, and Aylmer come by for fresh, Italian food. I want Sopranos to be the Italian restaurant in the area. CB: What are you most excited about? CM: The opportunity for a broader audience to see me as a chef. It’s great to be able to put my food out there. Hopefully it opens even bigger doors for the future.